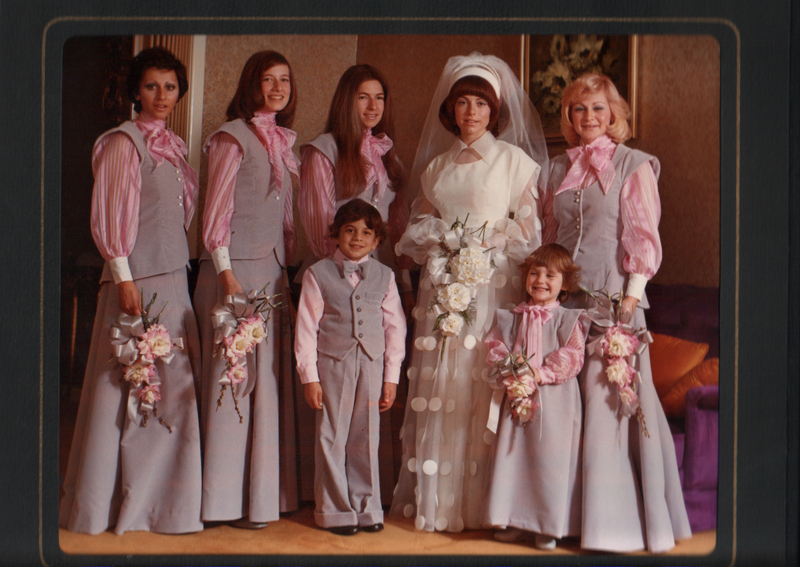 It took years for me to stop making fun of my parent’s wedding pictures. They got married in Australia in 1973, and just celebrated 38 years of marriage 2 days ago. Over the years I’ve grown to appreciate the choices they made: Polka dots, white cuffs, heavy gray velvet, puffy sleeves and pink ribbons, what’s not to LOVE? But still, looking at this picture I still think my Mom is the most beautiful bride ever.